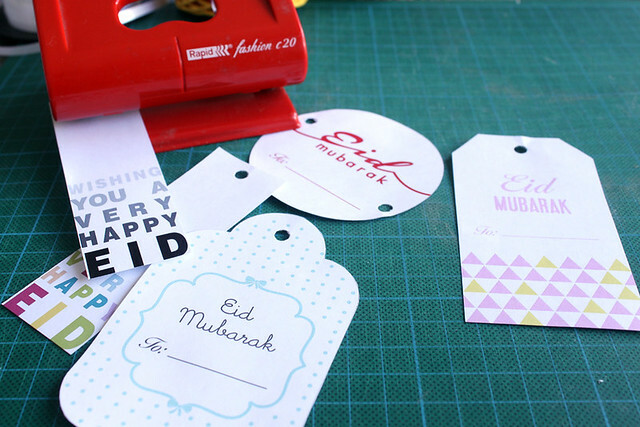 FREE DIY Gift Tag Printables in assorted designs & colours! 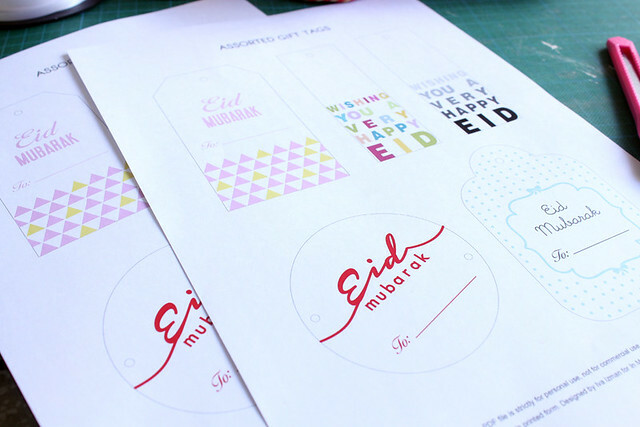 To be honest, I wasn’t really planning to do printables this Eid, as my FREE EID printables are only an annual thing. 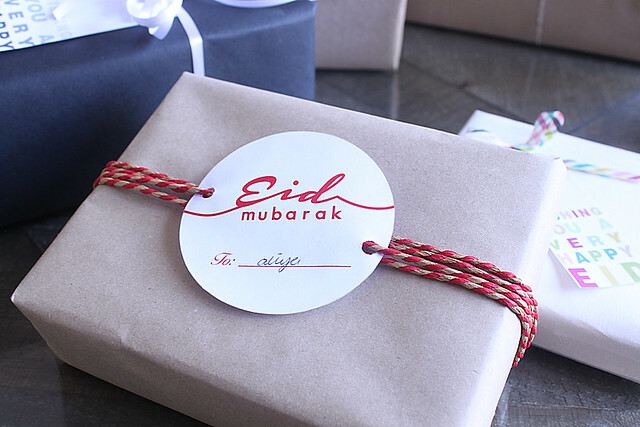 But, as I was shopping one day to look for supplies for my personal Eid gifts, I fell in love with these paper strings and washi tapes! So I thought, since I’m doing it for myself, why don’t I share them with you? I love gift wrapping. I can unleash my creative side and go wild, there are so many options. Though, I only like to use kraft paper (brown paper) as the base, and then decorate it with different coloured strings, ribbons, washi tapes, flowers, doilies, pom poms etc…ahh your imagination runs wild. 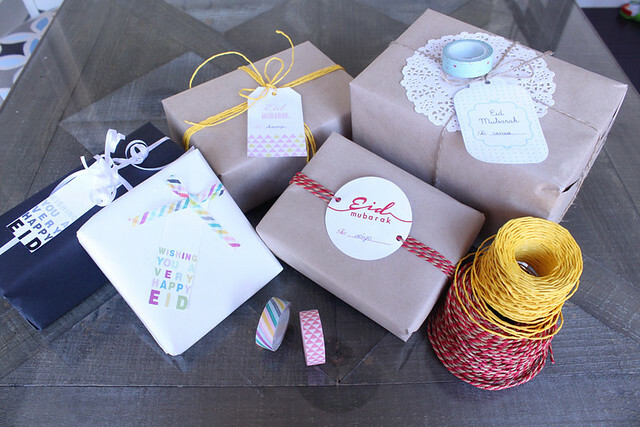 A quick search on Pinterest will get you quite excited about gift wrapping. Once you’ve cut them out, use a hole puncher and punch some holes as shown. 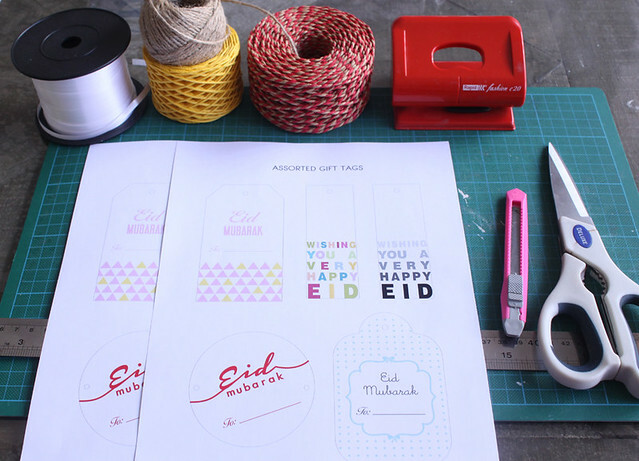 Now you’re ready to wrap, decorate and thread your gift tags. Its superrrrr simple! And go crazy wrapping, you can find lots of ideas on Pinterest if you do a search for ‘Gift Wrapping’ and lots of inspirations will come up. 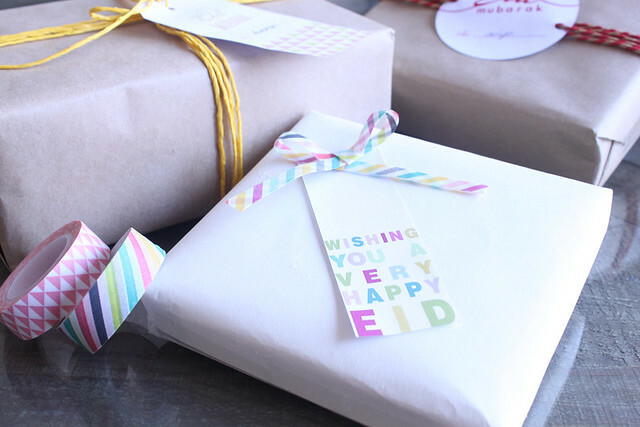 There are so many ways you can wrap a present, so mix and match! 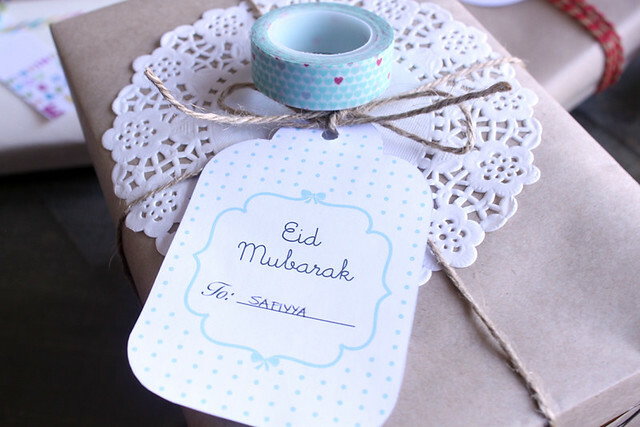 This gift tag was inspired by washi tape! I absolutely love them. This particular one, was inspired by the ‘Coloured airmail’ washi tape. I love the vibrancy of the colours in it! And of course, teal is my favourite new colour. Inspired by the washi tape (sitting above it). Wow! 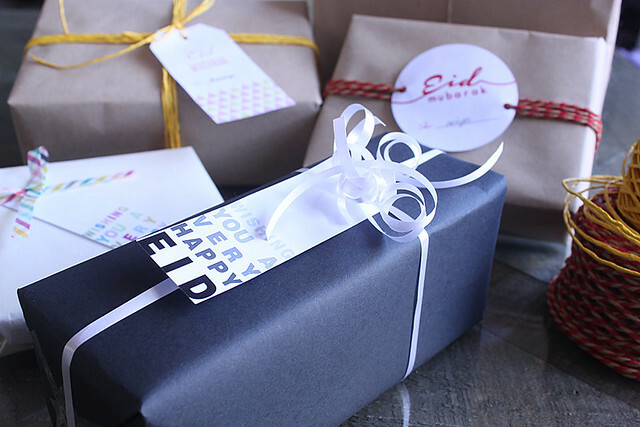 I love the way you gift-wrap! I will surely be back for more inspiration. Thanks for the share. hi there! , I really like a person’s producing incredibly a great deal! amount most people communicate excess regarding your article for America online? I require a pro in this particular property to help uncover this dilemma. It’s possible which is an individual! Looking forward to assist you to FishYes we have it all.